You are here: Home / What Makes Us Experts? Our experts are world-renowned Scientists and authors, as evidenced collectively by 500 scientific papers, 100 US Patents, many books, and encyclopedia articles on plastics. Our Lead Expert, Founder & CEO, Dr. Duane Priddy, is considered to be one of the most knowledgeable people in the world on plastic technologies. Dr. Priddy’s CV is available upon request. Expert 3 has over 300 published scientific papers on all aspects of plastic technology. He is a world renowned plastic scientist and professor. Expert 4 led the technical development of novel in-mold decoration technology utilizing luxury materials such as synthetic leather, suede, wood, and metal for the consumer electronics market to enable Dow and Licensees to manufacture and sell parts to OEM customers such as Microsoft, Nokia, Samsung, and Sharp. Expert 5 served as President Emeritus of Polymer Processing Institute & Research Professor of Otto H. York Chemical Engineering, New Jersey Institute of Technology (NJIT) after retiring from Dow Plastics for over 30 years. He is a world renowned expert in polymer processing and has over 100 scientific publications. Expert 7 recently retired from Dow. He is a polycarbonate process engineer and was responsible for the development engineering of Dow Polycarbonate process technology. Expert 8 recently retired as Director for Ciba Plastic Additives Group and is a globally recognized expert in UV and thermal stabilizer additives for all major plastics. Expert 9 recently retired from Dow Plastics’ Technical Service group. He is an expert in material selection, resin qualification, and polymer processing. He is widely recognized as an expert in multi-layer applications, such as automobile gas tanks, food containers, and storage carboys. Expert 10 has over 30 years experience in plastic processing and has helped a multitude of clients world-wide to optimize and trouble-shoot their injection molding processes. 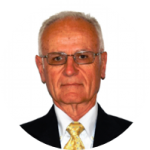 He is globally recognized for his expertise in Injection molding process optimization, Mold design, Hot runner systems, Extrusion of plastics, Blow-molding, and Polymer processing Teaching/Education. He has spent considerable time in China with these activities. Expert 11 is a renowned expert in plastic foam extrusion. Specific areas of expertise include new product development and applications, product and process support, low density polyethylene and polypropylene foams, and blowing agent selection for thermoplastic foams. Expert 12 is one of the world’s foremost plastic pipe experts. He currently has a leadership role at ASTM. He has worked for both DuPont (PE pipe) and Elf Atochem (Nylon pipe) assisting them in their development of plastic piping products. He has served as an expert witness in about 40 litigations, mostly involving plastic piping failure. Expert 13 recently retired from Dow where he served as the senior technical leader of an analytical / consultation group for Dow’s polyurethane business for research, production, customers and tech service. This group serviced the PU business globally, troubleshooting customer and production problems and analyzing competitor products. Expert 14 recently retired from Exxon Mobile where he served as a senior executive skilled in marketing, sales, market and sales development, product management and new product development. His experience spans polymers, plastics, elastomers and solar energy. Expert 15 has extensive experience in product and application development of thermoplastic polymers and elastomers. He has worked with styrenic plastics, engineering thermoplastics, polyolefins, thermoplastic elastomers, emulsion polymers, and urethanes as well as most common plastics fabrication methods. In a career of research and development, technical service, and market development, he has working familiarity with a wide range of consumer and industrial durable goods applications. Expert 16 is highly experienced in the implementation of programs resulting in productivity gains while reducing waste and increasing quality. He holds several U.S. patents for medical devices. Expert 17 developed and commercialized thermoplastic polyolefin (polypropylene/α-olefin elastomer) blends with differentiated ductility and abrasion resistance for auto interiors. He has identified critical parameters such as viscosities, fillers and processing conditions for new inline compounding of polyolefin systems, as well as improved long glass fiber reinforced PP matrices for better coupling and processing and stability. He has also developed a rheological phase relationships resulting in improved blowmolding ABS/PC blends. Expert 18 has extensive experience in Quality Lab Management, Statistical Quality Control, Plant Troubleshooting, Preparation of lab references, Gel counting and analysis, Injection Molding, Film Fabrication, testing, Additive Analysis, Polyethylene and Polycarbonate product development, and Clean Room operating discipline. Expert 19 has world class expertise including adhesive material and process selection, testing, formulating, substrate preparation, and quality control with emphasis on the end-user application and performance requirements. Major projects consist of problem solving, cost reduction, formulation optimization, selection of joint design and production processes, and failure analysis. Applications include structural as well as non-structural joining of all materials. He is also an expert in joining polymeric materials by methods other than adhesives including mechanical fastening, self-fastening, heat and solvent welding. Expert 20 can provide both strategic and tactical advice to industry, non-profit and government clients on implementation of EH&S programs. Representative projects include establishing safety and health accountability systems, strategic approaches to establishing standard setting priorities, industrial hygiene assessments, hazard communication programs, assessments related to workers’ compensation and product liability. product assessments, and EH&S audits/surveys. We also have many additional experts on our team who are not covered in this overview, please contact us about your specific needs and we can recommend an expert that uniquely fits your situation.